What items am I allowed to store? We do not allow some items to be stored using ecbo cloak. Here is the list of prohibited Items under our terms of service/user agreement. 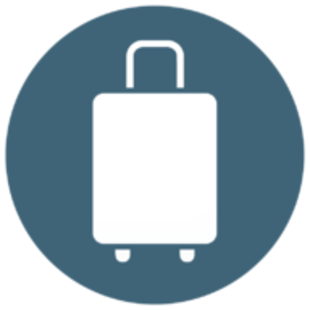 Please note that luggage insurance will not be applied to your luggage if your bag is carrying these prohibited items. Please note that shops have the right to refuse storage items of any kind that they see as unfit, dangerous or inappropriate. Shops have the right to open and check the contents of your luggage should the store believe the customer is carrying inappropriate items inside. Customers will be fully responsible for any trouble and loss that may arise from maliciously depositing the listed items above. ecbo inc. will not be held responsible for any trouble or damages caused by depositing the above listed items in any way.